10354 SE 179th Place, Summerfield, FL.| MLS# 545418 | Spruce Creek Realty...Retirement Communities in Florida, Resale Homes In Spruce Creek South, The Villages, Stonecrest, Del Webb. 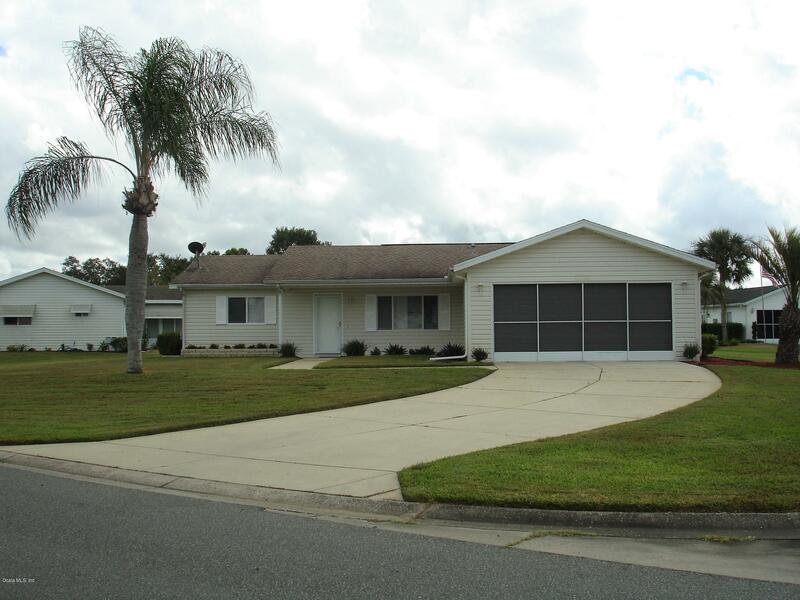 This lovely Open Chestnut Model has been completely remodeled. The inside was taken down to the drywall so everything you see inside the home is new. You will love the beautiful kitchen with granite counter tops & glass backsplash & built in pantry. The freshly painted walls & ceiling have knockdown texture. '' NO popcorn ceilings ''. The home flooring is tile & beautiful Laminate (no carpet). Inside laundry room. The property is located on a corner lot of a cul-de-sac with a peek-a-boo view of the golf course from the Acrylic enclosed tile Lanai & covered back patio. Home includes a golf cart garage plus a 2 car garage. The A/C was replaced in 2014. The roof was replaced in 2004.